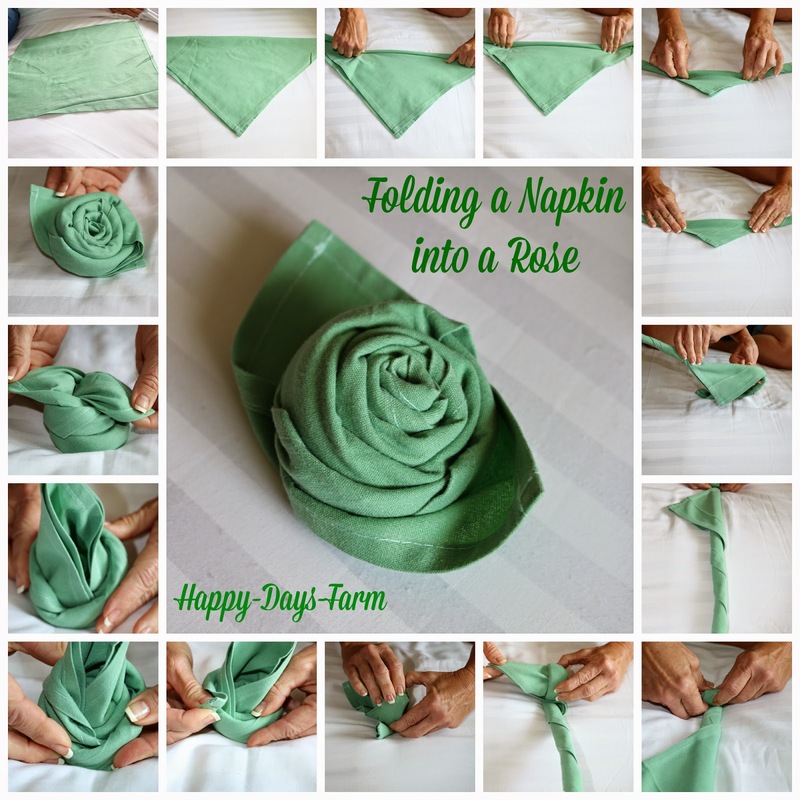 Here is a neat little tutorial on how to turn an ordinary napkin into something special for your table. There is a short video where you can watch me actually do it, and then there is a photo collage for each step! Enjoy!